CENTRE is mulling to reshuffle the top decks at large PSU banks such as Punjab National Bank (PNB) and Bank of India, wherein the CEOs at these lenders could be replaced — among others — by leading State Bank of India executives, senior officials told a national daily. executives of the SBI, India’s largest commercial bank that is said to have a pool of talented officers,” said one of the people cited above. Bank of Baroda and Canara Bank are among the other lenders that may see top SBI executives moving into the corner offices. Dinabandhu Mohapatra, CEO of the Bank of India, is likely to join Allahabad Bank. Following the government’s directive, the board of Allahabad Bank has divested CEO Usha Ananthasubramanian of executive powers after she was named in the CBI charge sheet on the unauthorised use of the SWIFT messaging system during her tenure at the PNB. Nirav Modi and his uncle Mehul Choksi are at the centre of the Rs 13,000-crore fraud at PNB, billed as the biggest in India’s banking history. One of the three managing directors of the SBI would be asked to join Bank of India. “Appointment of the MDs will come as surprise considering that some of them are due to retire soon, and some are considered for the deputy governor’s post at the Reserve Bank of India (RBI),” said a senior official. 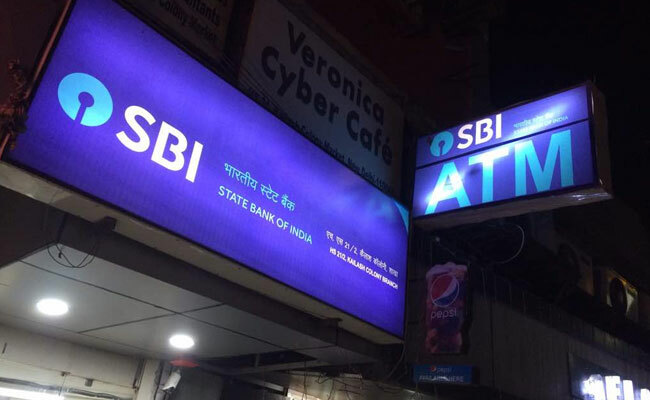 SBI’s MDs include B Sriram, PK Gupta and D K Khara. Sunil Mehta, who is heading PNB, was not named in the PNB fraud charge sheet. “But the transfer — if it happens — is to drive home the point that the government wants to show it is taking action against bankers where thousands of crores were lost in fraud,” said another person cited above. “There are discussions on deputing Mehta to one of the banks where the CEO post is vacant. It is not very clear who would replace him at PNB.” Officials from Bank of India, SBI and PNB declined to comment. The Banks Board Bureau had interviewed 10 deputy managing directors of SBI for the MD post recently. Some of these candidates can be moved to large PSU banks, said officials aware of the development. This year, 12 PSU banks will see new faces as many CEOs are likely to either retire, or complete their terms. As of now, the top slots at four PSU banks are vacant. They include Dena BankNSE 0.62 %, Andhra Bank and Punjab & Sind Bank. Although the Allahabad Bank CEO is due to retire after a few months, the bank is practically headless since the board has taken away all the powers of Usha Ananthasubramanian. Other bank CEOs whose terms will end this fiscal include Rakesh Sharma of Canara Bank, Kishor Kharat of Indian Bank, Melwyn Rego of Syndicate Bank, PK Bajaj of United Bank of India, R Marathe of Bank of Maharashtra, and RK Takkar of UCO Bank. This apart, PS Jayakumar, CEO of Bank of Baroda, would be completing his three-year term by September. Rajiv Rishi, who completed his five-year term at Central Bank of India just recently, is unlikely to get an extension, although he has not completed 60 years –– the retirement age for PSU chiefs.